Fully living up to its name, Bangkok Garden Apartment offers serviced apartments for rent on a monthly basis. 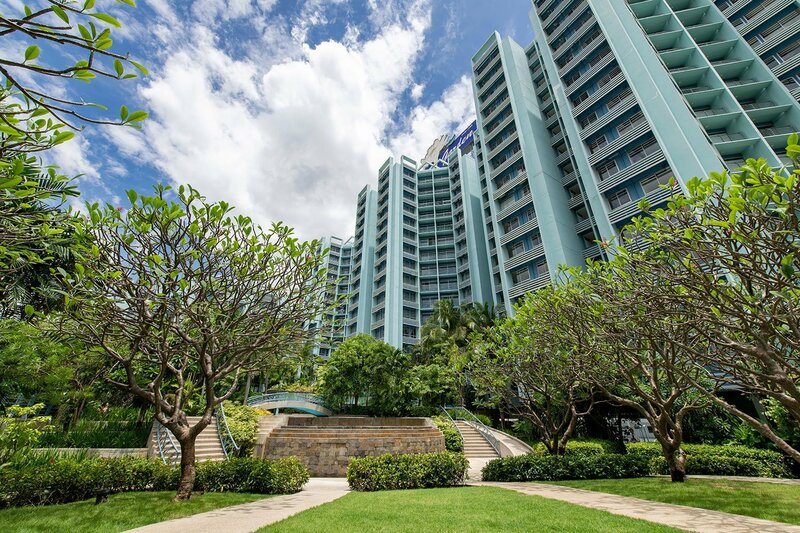 The apartments are set amid the city’s largest private garden of tropical flora and a serene waterfall. 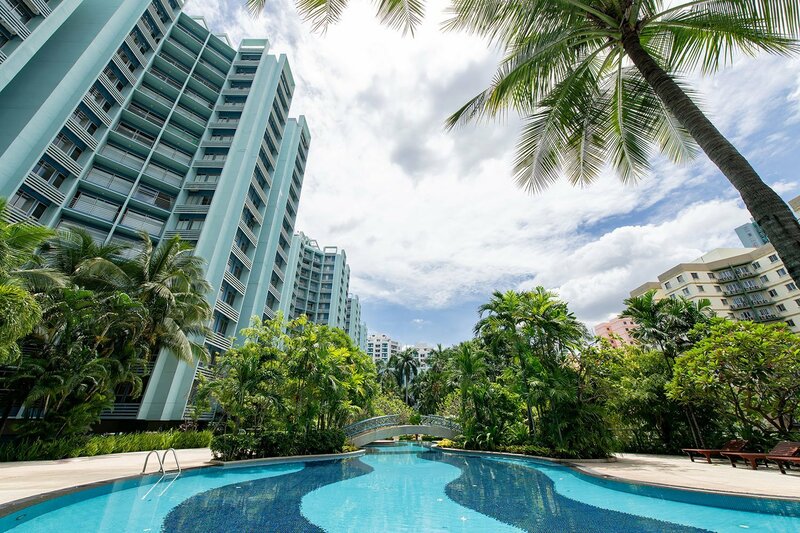 The grounds feature two large free-form swimming pools, to offer a safe and relaxing environment for carefree living in an urban sanctuary that is centrally located yet secluded. The grounds of this urban oasis offers facilities for both an active lifestyle and social living. For those who enjoy a brisk workout, in addition to the two large swimming pools, Bangkok Garden Apartments offers a jogging track a basketball court, a football court and a fully equipped fitness centre. To help you relax after your workout there is a sauna and a jacuzzi. Kids need to work off their energy as well and they will love to spend hours at our children’s playground set among our lush, tropical gardens. Here residents can enjoy a choice of spacious accommodations designed with every comfort and convenience, along with the dining and recreational facilities for a fulfilled lifestyle. 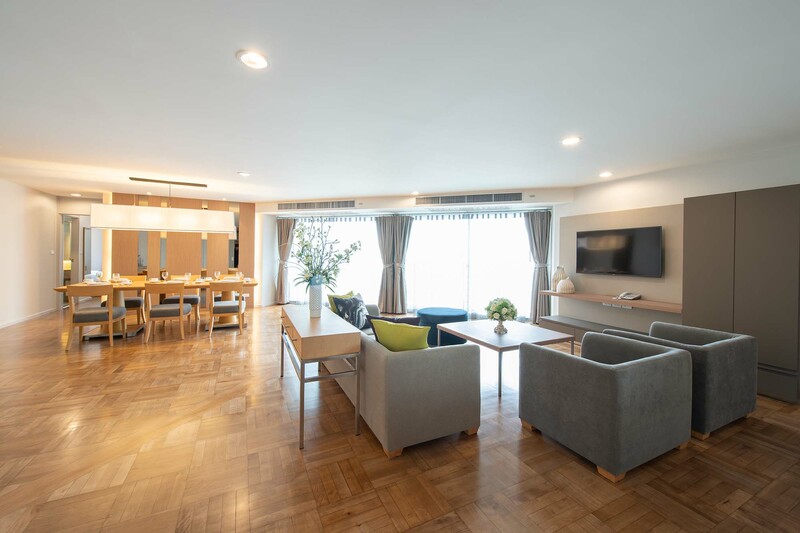 Bangkok Garden Apartments tucked away in a quiet corner of Bangkok’s Central Business District, has been the residence of choice among expatriates for many years. We offer a prime location that is close to public transportation, schools, embassies, and all the necessities of an urban lifestyle, yet we also offer an oasis in the heart of the city. An oasis that offers everything for the modern family in the way of dining, leisure and exercise facilities in a safe environment right in the heart of the Sathorn district. Bangkok Garden Apartment offers a perfect blend of serenity, comfort and privacy in the midst of 3 acres of lush tropical gardens, and a full range of amenities that will guarantee your stay at Bangkok Garden Apartment will be a memorable experience. 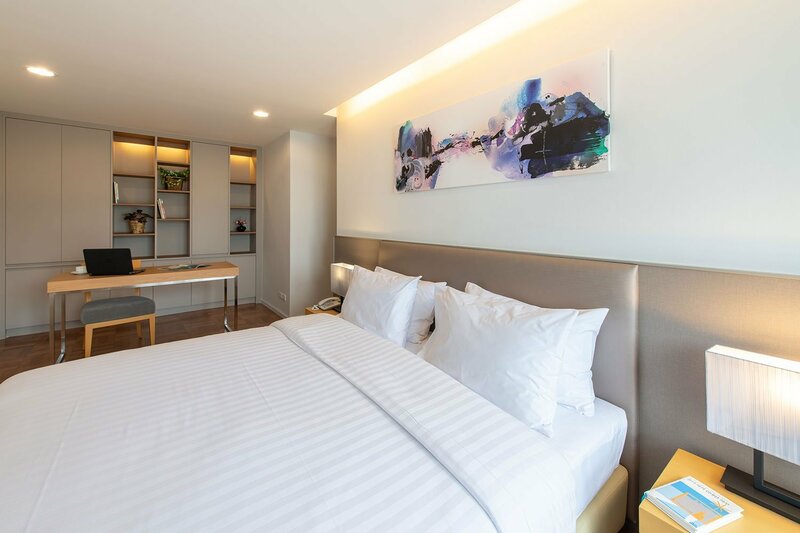 With 2, 3 and 4 bedroom serviced apartments, Bangkok Garden Apartments offers everything a growing family needs to live a happy and productive lifestyle right in the heart of the city. Our apartments range in size from 105 sqm to an expansive 240 sqm to accommodate practically any size family. The apartments are furnished in a modern, contemporary style, and all feature maid service three times a week that includes a complete linen and towel change. In addition to the complete set of tableware and kitchen utensils, the apartments come with a complete set of appliances to make your everyday life easier. They include an LCD TV, a washing machine, a hairdryer, an iron and ironing board, a microwave, an electric pot and a toaster. Of course, there is high-speed, wifi access in all the apartments as well. Come and live in Bangkok’s biggest private garden and enjoy all the comforts of a modern, urban lifestyle. One that provides easy access to everything you need to make your life and the lives of your family complete. © 2018 Bangkok Garden Property Fund. All Rights Reserved.